Evaluation of the school projects of 21 beneficiary schools of the project “School me”, which took part in a form of a competition was organized under this project. 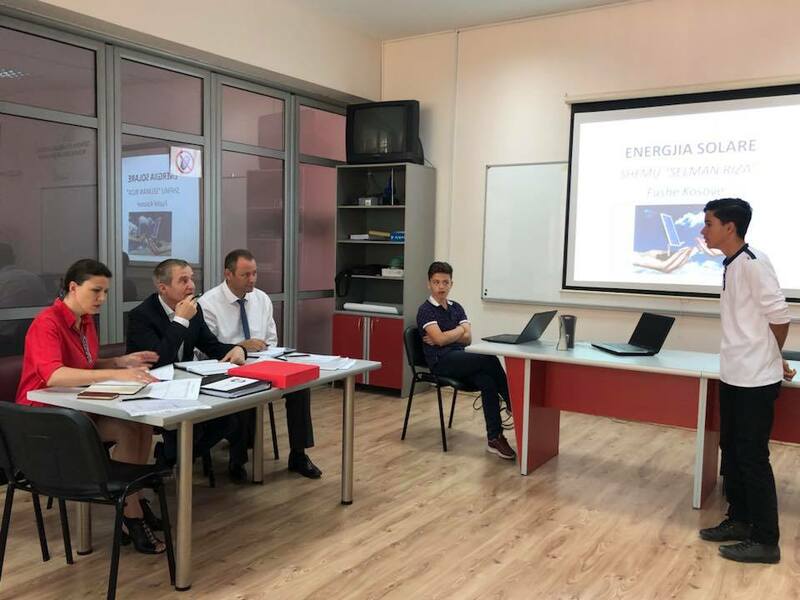 In Gjakova there were school projects of the 8 beneficiary schools evaluated from municipalities of Gjakova, Peja, Istog, Rahovec and Suhareka, while in Pristina the school projects of 13 beneficiary schools of the municipality of Prishtina, Fushe Kosova, Gjilan, Hani Elez, Shtime, Malishevë, Lipjan, Drenas, Podujevo and Vushtrri are being evaluated. The evaluation team of school projects composed of MEST officials, MEDs and KEC will evaluate the projects according to certain criteria. 6 schools that will be winning the first 3 places will be rewarded with laptops, cameras, and math material training materials, while participating schools that will not reach the first places will be rewarded with a set of school books.